Heinäkuun aikana Titanik tekee yhteistyötä HIAPin kanssa kutsuen residenssitaiteilijoita ja -kuraattoreita vierailemaan Turussa. Keskiviikkona 25.7. tapaamme taiteilija-kuraattori Louise Waiten. Presentaatiossaan Waite kertoo taiteellisesta ja kuratorisesta työskentelystään, sekä viimeaikaisista projekteistaan. Tarjolla taiteilijan valmistamaa leipää! Keskustelu tapahtuu englanniksi. During July Titanik collaborates with HIAP by inviting artists and curators in residence to visit Turku. On Wednesday 25 July we’re meeting artist-curator Louise Waite. In her presentation, Waite will tell us about her artistic and curatorial practice, as well as on-going projects. Bread baked by the artist will be served at the event! The discussion is in English. Louise Waite (b. 1988) is a curator and artist living in Malmö, Sweden. She has been exhibiting as an artist and curating events and shows both locally and internationally at institutions such as Wellcome Collection (uk), De Le Warr Pavilion (uk) and Göteborgs konsthall (swe). 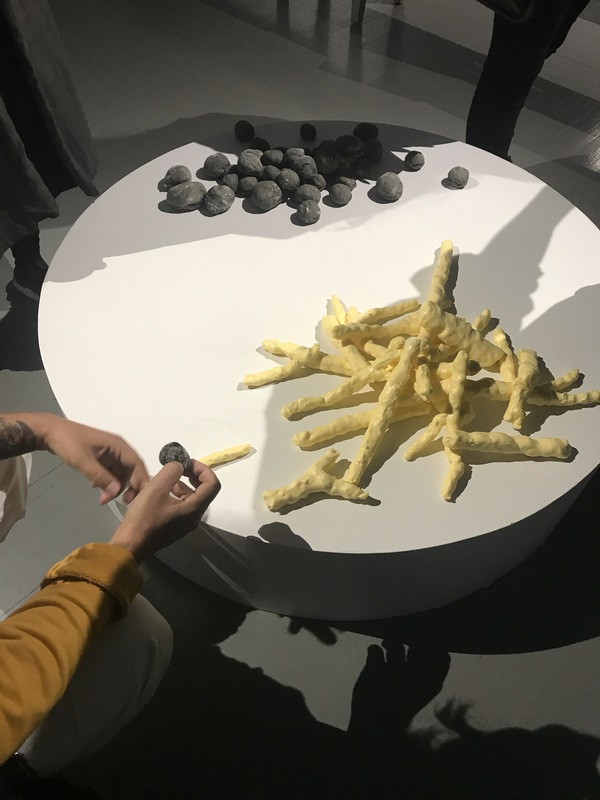 Currently she is on a three-month residency at HIAP – Helsinki International Artist Programme, where she is working on a project that explores the relationship between building, bread, and ritual. “Before I Die I Shall Bake a Cathedral” are the words of the poet Edith Södergran (1892-1923) from her poem Hope, which the project uses as its starting point. Waite is interested in self-organising within the arts, communication methods and structures of affective labour, which she explores in her experiential and multi-sensory practice. With a background focusing on experimental sound art and public art projects, she has always had a foot in the live experience of things. The context in which the piece is being exhibited in is examined and interpreted, giving the audience an intimate, curated experience. She holds a bachelor degree in Fine Art Critical Practice BA (Hons) from the University of Brighton (uk) as well as a degree in project management within culture from Kulturverkstan (swe). She currently works as the coordinator at Skånes konstförening and she is the founder and artistic director of Svenska In & Uttrycksbyrån.